You know the broomball? This is the official name of BALLON BRUSH, discipline known supporters of Ice Hockey. The French Federation will soon emerge, MARTY SPORTS has decided to support this discipline by developing a new range of equipment that will soon be revealed to you. A France team will play its first World Championships in Canada REGINA 1 to 5 November, they will proudly wear the colors MARTY SPORTS on their jerseys. 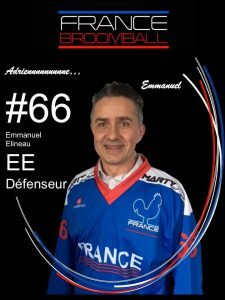 The whole team wishes MARTY SPORTS good Broomball Championships in France.